Metallic Nail Wraps Only $7.98 Shipped! You are here: Home / Great Deals / Metallic Nail Wraps Only $7.98 Shipped! Get the perfect spring manicure with ease; just heat, stick & file! Each package of So Gloss Adult has 24 nail wraps. Each package of So Gloss Mini’s can cover up to 68 nails! So Gloss Mini’s are sized for girls ages 2-10. 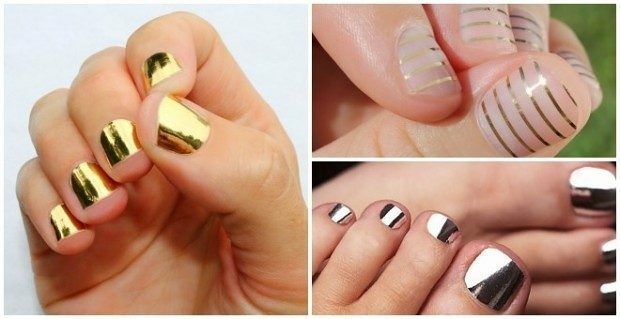 These Metallic Nail Wraps are Only $7.98 Shipped! So Gloss Nail Wraps are a vegan, chemical free, fume free alternative to nail polish. Grab this and other hot deals every day at Jane!